Bloggin' 'bout Books: TTT: Serial Readers, Unite! How do you feel about series books? Love them? Hate them? I happen to delight in delving deeply into a place and its people, so I adore them. 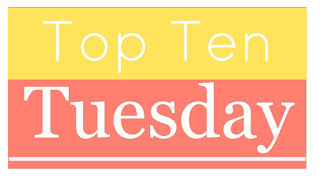 Naturally, then, I'm excited to jump into today's Top Ten Tuesday topic. 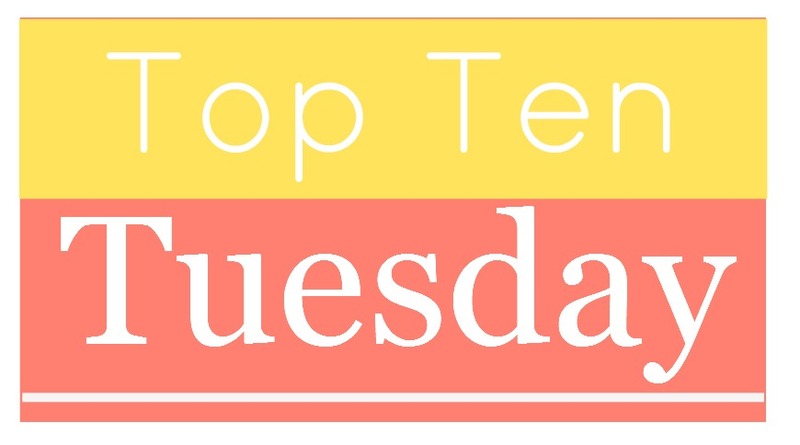 If you want to join in the fun, all you have to do is hop on over to The Broke and the Bookish, read the rules, make a list of your own, and start clicking around the blogosphere. It's a good time, I promise! 1. Harry Potter by J.K. Rowling (status: complete)—I read the Harry Potter books as they came out and have been meaning to re-read the entire series ever since. I've started this goal in the last six months or so and it's been fun to revisit the HP world we all know and love! 2. The Chronicles of Narnia by C.S. Lewis (status: 1/7)—I read The Lion, the Witch, and the Wardrobe back in elementary school. Although the book totally captured my imagination, I don't think I ever continued with the series. Methinks I need to remedy that. 3. The Little House on the Prairie by Laura Ingalls Wilder (status: complete)—When I was a kid, I was obsessed with the Little House world—the books, the t.v. show, everything. I've been meaning to re-read this whole series for a long time, just haven't done it yet. 5. Bloody Jack by L.A. Meyer (status: 5/12)—This is such a delightful series. It's got it all—adventure, romance, humor, sass, etc. 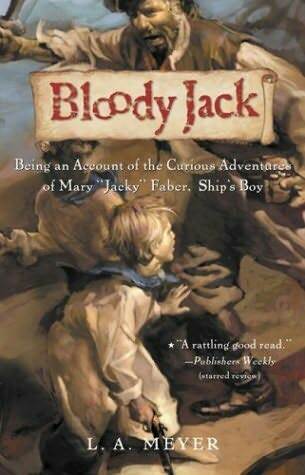 Fortunately, Meyer finished the Bloody Jack books prior to his death in 2014. Unfortunately, he will never pen another series. Bummer, because this one is a real treasure. 6. Ruth Galloway by Elly Griffiths (status: 4/10+)—I've enjoyed this series about a quirky British forensic archeologist who helps the police solve mysteries. More books are being added every year, so I need to catch up quick! 7. Amelia Peabody by Elizabeth Peters (status: 7?/20+)—An oldie but goodie, this series made its entrance into the world in 1975, just like Yours Truly! I'm not sure where I am in the series as I've been reading it for a long time. I'd like to go back and re-read the early books, then continue on. Someday. 8. Lady Julia Grey by Deanna Raybourn (status: 0/5+)—I've enjoyed Raybourn's newest series, so I'm interested in checking out this older one as well. 10. 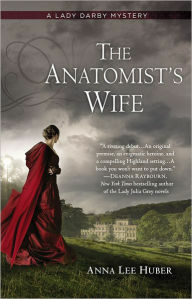 Lady Darby by Anna Lee Huber (status: 0/6+)—Lark got me interested in this historical mystery series about a widow who shares her anatomist husband's "unnatural" interest. So, there you go, ten series I want to re-read, start, and finish. What series are you interested in starting? Have you read any of the ones I mentioned? Which other series should I be starting? Leave me a comment and I'll gladly return the favor! Thanks! It's been a lot of fun re-reading HP and I know I'll enjoy re-visiting THE LION, THE WITCH, AND THE WARDROBE. I'm deep into The Green Rider series and am struggling with book 5. Ugh. Not a huge fan of the direction the author took with this one but love the series enough that I'm willing to keep going to see how she makes it all work together in the end. The one downside of reading a series is how utterly attached I become to the characters and their stories after so many volumes... When it ends I miss them! I am a bad series reader and am in the middle of many! I read HP for the first time this year but can totally see rereading them in the future! Outlander made my list too, and I totally get what you mean about those books being intimidating. SO MANY LONG BOOKS! I don't think I ever finished Narnia either---need to fix that. That makes sense. When I re-read, though, I tend to read more casually and less critically than on a first run-through because on a first read, I'm generally taking notes and thinking about what I will say about a book in my review. On a re-read, it's more for entertainment and enjoyment. I am as naughty as you. Read most of the first in the series and didn't continue. Why don't they finish off early as trilogies? I don't like longer ones like many of our friends. Their sheer number overwhelm me. I don't mind long series, but it does take me FOREVER to finish them. Trilogies are nice because you get a continuing story but it finishes in three books instead of twenty! The Outlander series must be finished. I truly enjoyed though the Poison Study sereis! I've heard lots of good things about the Poison Study series. I need to get it read soon. I know I must have read The Chronicles of Narnia when I was younger, but I can't really remember anything about them. Luckily, I still have my boxset - I might need to give those a reread. Confession: I still haven't finished the Harry Potter series! I keep getting to the third book and burning out. I really need to push through these, because I love the first two and have re-read them more than I can count. Right? I vividly remember reading THE LION, THE WITCH, AND THE WARDROBE, but none of the others. Either I read them and completely forgot them or I didn't read them at all. Not sure which. Oh, you have to finish HP! The first one will probably always be my favorite, but I love the series as a whole. Definitely worth a binge-read! 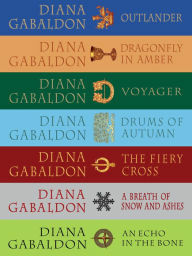 I want to absolutely re-read Outlander and finish it, though I thought maybe I should write until she's finished it all... I think the last book I read was #6 and I heard there'll be 9 or 10? So maybe I'll wait, then start from scratch. Also: Finish HP!! Outlander is so intimidating. I recently read the first two and they took me forever to get through. The books are so huge and the font is so tiny. I'm hoping to read the third soon with the third season of the show coming out in September. I hope you enjoy all these series! Happy reading! Thank you for stopping by! All the books are so huge that I should probably just binge-read the whole series. That way I won't forget what's happening between books! You DEFINITELY have to finish reading Narnia! They're all so good. My childhood favorite was The Horse and His Boy. ^_^ I'm probably due for a reread of this series myself! Ooh, that Emily Griffiths series sounds interesting! I read the first Amelia Peabody, but I'm interested in checking more out. I know, I know! Ironically enough, I have TWO different boxed Narnia sets on my shelf. No excuses for not reading it AT ALL. The Elly Griffiths series is a good one. Not nearly as other crime/mystery novels. I also really love Amelia Peabody. She's hilarious! Oh man! I have like a billion series I need to finish. I have a super nasty habit of starting a series and then never finishing it. I love rereading series too. Enjoy when you get to them. I have NO idea what you're talking about. I ALWAYS finish EVERY series I start :) Ha ha ha ha ha ha ha! I wish. I've only read the HP series once, whiche now that I think of it seems crazy. The last book came out when I was sixteen and I think I read the first book when I was about ten, so I bet there's lot of things I missed the first time round! Outlander is so good. I watched the first season of the TV show and it was brilliant too! Sounds like an HP re-read is definitely overdue! Glad the Outlander show is good. I hate it when tv/movie adaptations completely ruin a beloved book/series. The Study books are on my TBR. Harry Potter will probably always be my favourite series :) I only ever read the second Narnia book (The Lion, The Witch and The Wardrobe) and for some reason never managed to read the rest. I love me some Harry Potter :) My 15yo daughter has read the whole series seven times - I'm just trying to catch up! Ha ha. I'm excited to re-read Little House. I'm glad it was a fun experience for you :) Very nostalgic, I'm sure. I love your list and agree about a lot of these. I just re-read Harry Potter for the first time last year and it was delightful and fun to reflect on how my opinions had changed on certain things - I loved Hermione more and kinda decided I disliked Ron! I'd also like to jump into Raybourn's Lady Julia Grey series - I just started the other series and LOVED it. A lot. Good luck re-reading, catching up and starting all these new series!